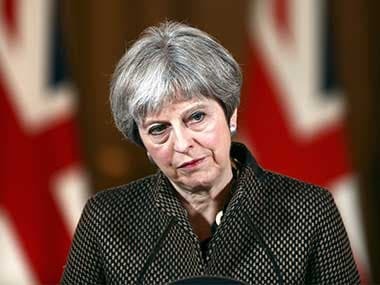 London: British prime minister Theresa May on Sunday called for still more time to renegotiate her Brexit deal, and drew outrage by suggesting that the parliament may not be able to vote on the deal until just 17 days before Britain leaves the EU. 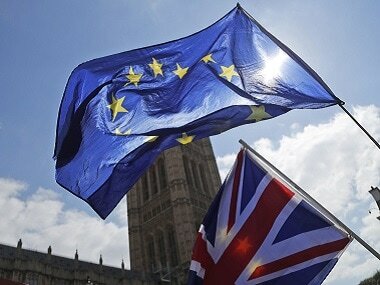 Business leaders and MPs reacted with anger and dismay at the news, which also prompted fresh calls to delay Brexit to avoid a damaging "no deal" exit on 29 March. Three of May's ministers had earlier warned that the House of Commons would seek a delay if there was no breakthrough this week. 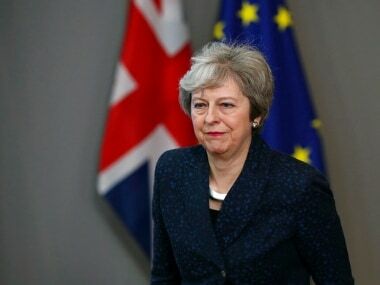 May had raised the possibility of a vote on her deal in the coming days, but said on Sunday she was still negotiating with the European Union. "As we're continuing with those talks, we won't bring a meaningful vote to parliament this week," she said at a summit of European and Arab leaders in Egypt. "But that will happen by 12 March. 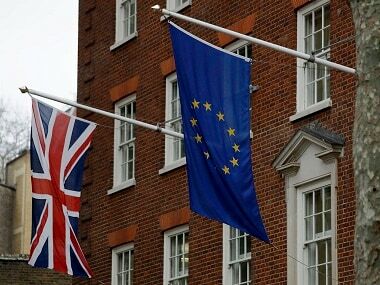 And we still have it within our grasp to leave the European Union with a deal on 29 March." Lawmakers last month rejected her withdrawal deal, and since then, May has sought to address their concerns about its so-called "backstop" plan for the border between Northern Ireland and EU member Ireland. She met with European Council chief Donald Tusk in Sharm el-Sheikh and will also hold talks at the summit with German Chancellor Angela Merkel, while her team will return to Brussels on Tuesday. But Labour's Brexit spokesman Keir Starmer said her move was "the height of irresponsibility and an admission of failure". "Theresa May is recklessly running down the clock in a desperate attempt to force MPs to choose between her deal and no deal," he said. Business leaders also expressed dismay. "This is the latest signal to businesses that no-deal is hurtling closer. It must be averted," said Josh Hardie, deputy director general of the CBI lobby group. May says she does not want Britain to leave the EU without a deal, which experts warn could cause major economic disruption on both sides of the Channel, but she argues this requires MPs to back her plan. Growing numbers of lawmakers, however, believe that Brexit may need to be delayed. 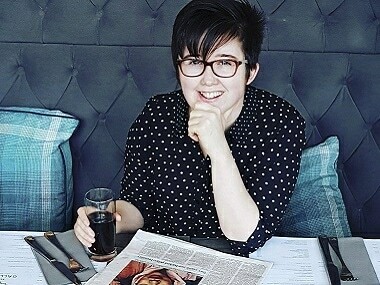 "Beyond the next few days, there simply will not be time to agree a deal and complete all the necessary legislation before 29 March," they wrote in an article in the Daily Mail. May will address the Commons on Tuesday, then on Wednesday, MPs will have the chance to debate their own ideas for the way forward. A member of May's Conservative Party, Nick Boles, urged fellow lawmakers to back a cross-party plan to delay Brexit on Wednesday. "MPs need to insert some rigour into this process," he said. After rejecting the withdrawal deal that May spent almost two years negotiating with Brussels, MPs voted by a slim majority to request she seek changes to the Irish backstop. This arrangement would keep Britain in a customs union with the EU after Brexit if and until another way — for example, a free trade deal — were found to keep the border with Ireland free flowing. The EU has said it will not reopen the text, but is looking at what "guarantees" could be given to reassure MPs that the backstop would be temporary. But Tusk emphasised during his talks with May that the other 27 member states would not sign off on anything until they were confident the Commons supported it. "Tusk recalled the need for EU27 to have clarity that a proposal for the way forward can command a majority in the UK, before the issue is tackled by the European Council," an EU source said. Earlier, Environment Secretary Michael Gove said the government was still looking at a time limit or unilateral exit mechanism for the backstop as a way to assuage MPs' concerns.